Pro-fat diets are nothing new (thanks to Robert Atkins for that one), but nutritionists and experts are turning to healthy fats as part of a balanced diet in ever increasing numbers, including lesser known fats like coconut oil. 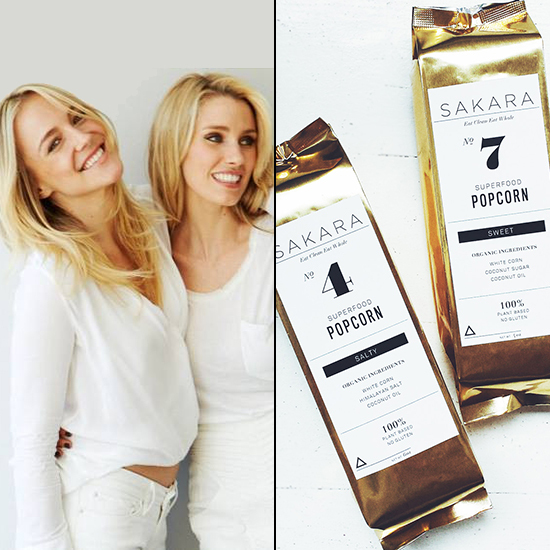 We spoke with Whitney Tingle and Danielle DuBoise, founders of Sakara Life, a healthy meal delivery service and lifestyle program, for their top five ways to use this versatile ingredient. Tingle is a certified holistic health coach and former model, while DuBoise is a Wall Street financier turned yoga instructor. Thanks to their whole food philosophy, good ingredients, and serious credibility (Bobby Flay is one of their culinary advisors) Sakara Life has quickly become popular among celebrities and health-focused customers. While many of the dishes in their meal plan have coconut oil as an ingredient, it's not just for cooking–they use for everything from an alternative to butter on popcorn to body scrub. Read on for more ways to use this new health food ingredient. 1. Creamer in coffee: Coconut oil packs fatty acids and immune-boosting lauric acid, and helps stimulate that roaring metabolism first thing in the morning. It also helps balance out the acidity of coffee! 2. Teeth whitener: Swish a tablespoon of coconut oil around in your mouth for 20 minutes. It works as a powerful medicinal mouthwash by loosening the plaque and trapping the bacteria it finds, which then dissolves in the oil. The benefits of doing this daily include healthy gums, strong teeth, soft lips, clean breath, and clear skin! 3. Deep conditioning hair mask: Coconut oil is great for the scalp, and regular scalp massages help promote blood circulation and healthy, shiny hair growth. Heat up a tablespoon of coconut oil, massage it into your head, and leave on for an hour or two before washing off. 4. Reduce puffiness, bags, and wrinkles under eyes: After you wash your face, dab coconut oil under each eye (careful not to get it in your eyes!). Leave coconut oil on while getting your beauty rest and wash your face in the morning. 5. Body Scrub: Mix with pink Himalayan sea salt and start exfoliating the body! Not only does this get rid of dead skin cells and moisturize the new skin cells, but it also helps increase circulation and support the body’s natural detox abilities.